Notice board records it was built about 1901. 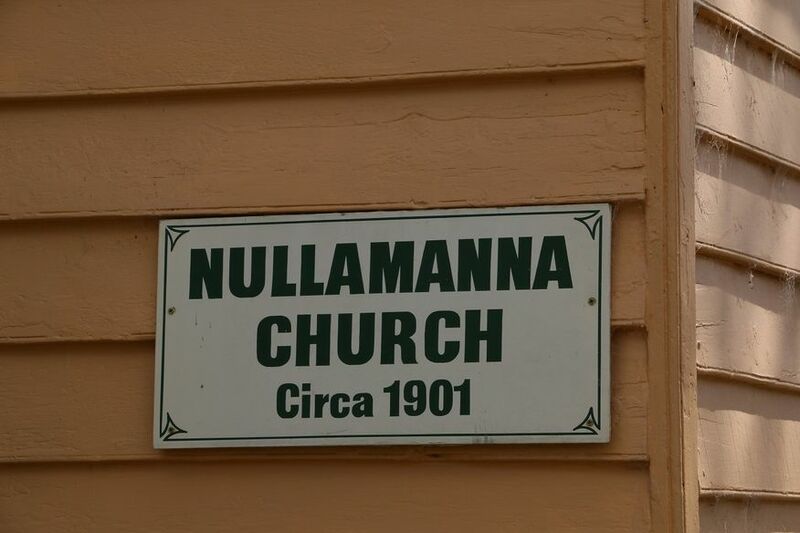 This former Nullamanna Methodist Church building is now privately owned. It was built about 1901 and also used for a time by the Presbyterians and the Salvation Army. 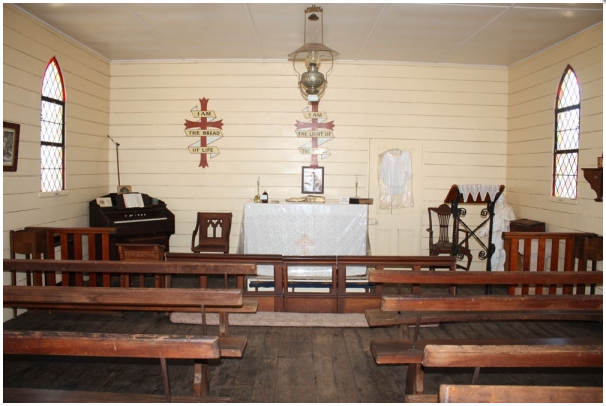 After the Anglican church building was destroyed by fire, it was also used by them. No other details are known. 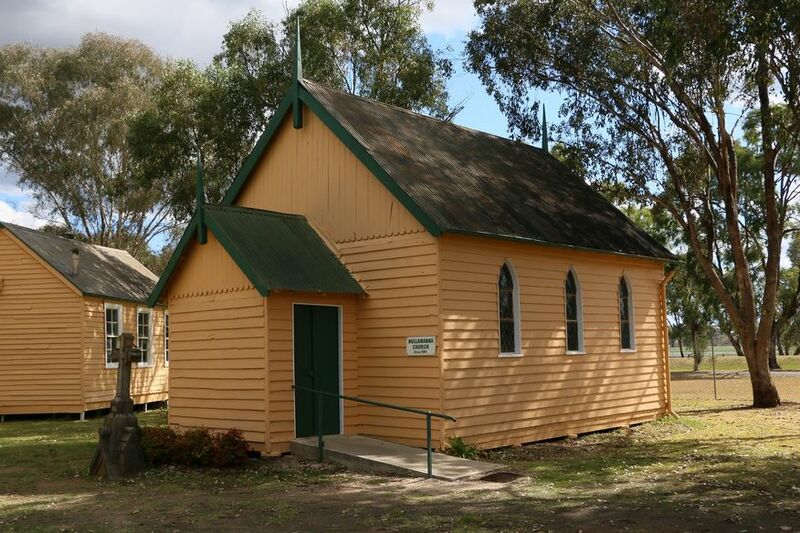 After the church was closed it was donated to the Inverell Pioneer Village, Tingha Road, Inverell. It was then relocated to Inverell from Nullamanna, a small town about 20 kms from Inverell. More historical information/photographs of the former church/congregation are invited. Photographs uploaded 27/11/2017.